well for four hours, three mornings a week anyways. I mean, I work at home sort of, but for these three days, just a few hours a day, I will be on my own schedule. The thought of this excited me. Another mom came up to me and told me she went through the same thing yesterday and said "It will be ok"
and I just lost it right there in the school, with random friendly strangers hugging me. I need her to be used to time away from me before school starts full time next year. I knew this was how she would be, so this is my exact reasoning for getting her used to preschool. But it's so hard. Nevertheless, its a nice change, sitting here. I have a work load of stuff to do for my church, web banners and facebook banners and flyers and advertisement, etc... but for now I am just sitting. Jada is way too easy. I mean what can I say. She cried a little bit last night. She asked me if she could be homeschooled. She asked me why God didn't just make us automatically smart. 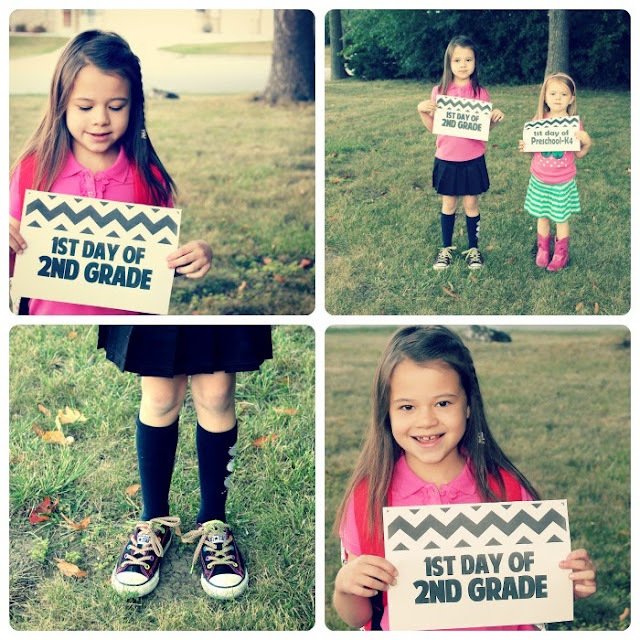 But that was the extent of her fussing about school. She went to school happy and quiet, smiled and waved as I left her classroom. This is my Jada. So laid back. Everything is so chill for her. Either that, or it's a joke. Everything. To be honest, we want another baby. You would think I would be happy having all my kids at school, being a "work at home" mom...and finally getting a break. Sure, I enjoy the "break" but I don't think I am done. I am hoping by next year I will not be sitting here alone, but with a little newborn. I am praying for this. We have been "trying" for five months and I had an early miscarriage over the summer. I didn't tell many people because I barely found out and within days it was over. I know this isn't the longest time anyone has tried for a baby. Trust me, I understand the hardships people go through. But I'm creeping up on 38, and I just don't want this to be it for me. My heart is aching one more little person around here. Wonderfully written! I will be praying for you (and please pray for me, Matt and I would like a little one too!). "Why didn't God make us automatically smart"-Love it! My oldest (4yrs) started going to preschool 2 mornings twice a week in April, and just started back again yesterday. She gave her little sister and I a kiss and went and played. Her sister and I cried on the walk back home the first time we dropped her off. 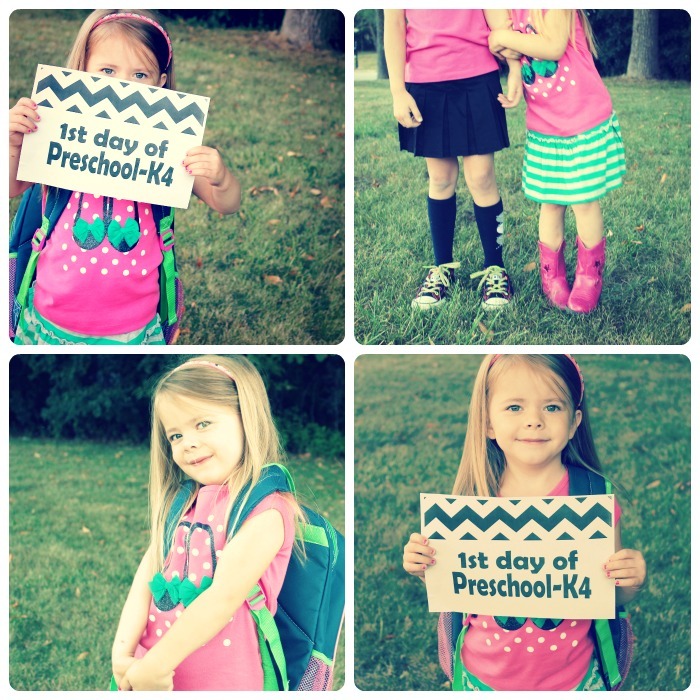 I hope all my kids are so eager and happy to go to preschool/school. Hope she adjusts quickly for you all. ahhhh I totally understand!!!! I have three: 12, 10 and almost 2.. we kinda thought the last one wasn't going to happen. Everyone told to be happy with the two we had, but our home felt empty with the 2 and I knew we should have 3.. so finally we got our lil one!!! it's been great, but now when I see a baby there is still kinda that soft spot for one more, but my body won't let me do one more.. and I just turned 39!!! ACK!! Oh Julie- why didn't you call? I would've told ya. It's strange how that empty nest creeps in so quick. I cried every single time my kids went off to kindergarten and this school year even though I have High Schoolers and Middle Schoolers I cried again. I know I wish I could say it gets easier but I don't think it does. It's not like we as mommas can flick a switch and just turn that emotion off. It's a big day, but I'm sure as your youngest is getting more and more adjusted to time away from mom, at least I hope she is by now. And I'm so sorry to hear of your loss this summer. I hope and pray God gives you that desire of your heart. ugh, so hard leaving kids who don't want you to leave. Hopefully she is happier with it all by now?